Join me in my studio to work on your own projects with my loose instruction. “Art is the process of self-discovery, much like therapy. The therapist must be committed to the process of self-discovery so we can help our clients with their own process. I’ve painted my dreams, thoughts, and feelings…all of which helps me feel inspired, engaged and curious about life as a whole.” —A.C. This group helps me…"to articulate a dialogue with the painting, or even between parts of the painting - whatever emerges for me. The painting is something that emerges from me - like working w/ dreams, all parts of the dream are the dreamer, and all parts of my painting are me.” —N.G. “Through my art I have learned to trust my intuition. This serves me we'll as a therapist because I connect more deeply with clients as I teach them to trust their own intuition as they create the lives they dream of and aspire to.” —B.J. 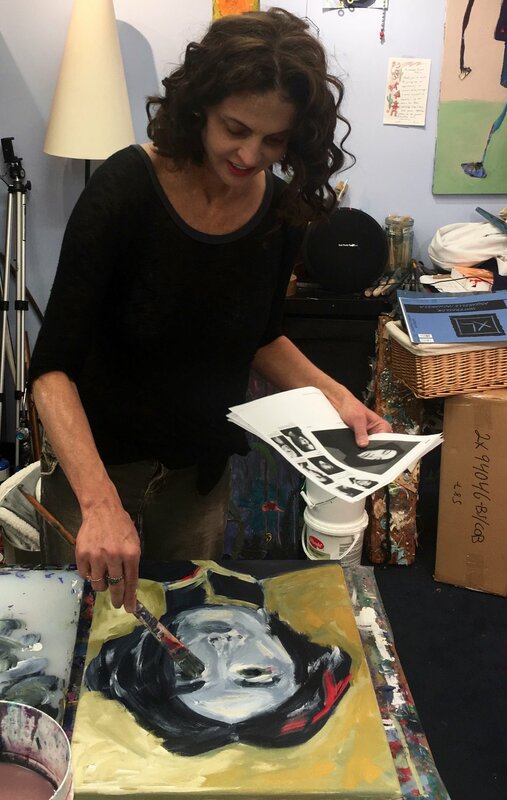 “Painting with Robin allows to express myself pictorially in a different way, outside the realm of 'good/bad,' in pure creativity, allowing me to grow and develop in other ways that show up in the way I relate to my clients other than drawing.” —D.G.